Basic Cue Building and Repair Video! Over 2 Hours. 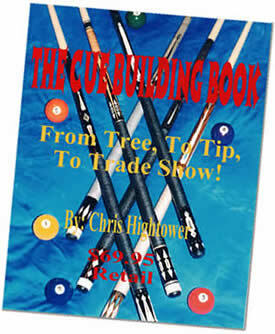 Advanced Cue Building Volume 1: Points and Inlays! Almost 3 Hours. CUE BUILDING LATHES AND INLAY MACHINES!